I wanted to blog about a couple things before I move on with new or existing projects. Just because I sew and make quilts doesn't mean I make everything for myself. Sometimes I rely on a little help and talent from friends or would-be friends. Paula Hogan lives probably 30 minutes from me but I don't know her. However I'm an admirer or her Etsy Shop (called Compelled to Craft) and her talent. This may look like just simple circles but they aren't. These are made using vinyl covered fabric or oilcloth and they are for covering serving bowls. They are not shower caps like my kids thought they were. These are made from Lori's vinyl fabric. 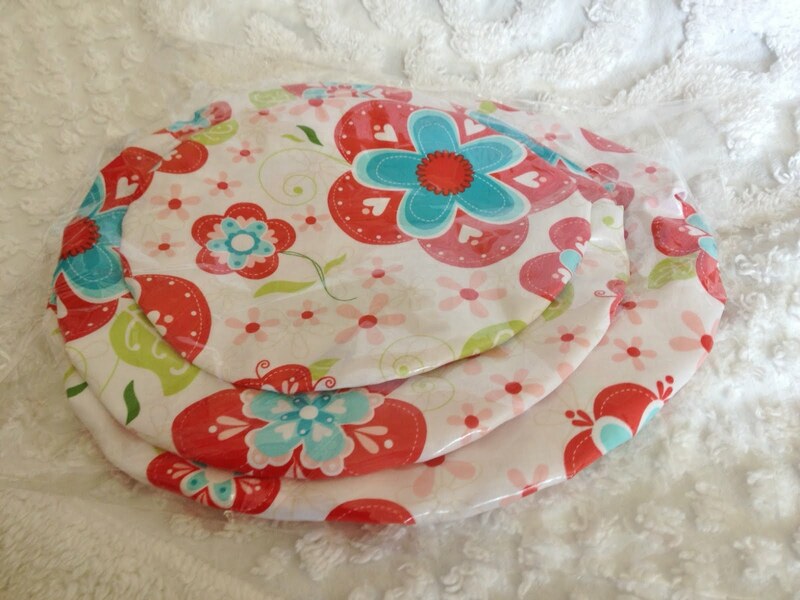 They fit snug and are perfect for covering in the fridge or protect while transporting. Before leaving on vacation I won a giveaway from Stephani at her blog Stuph From Steph. I love winning. 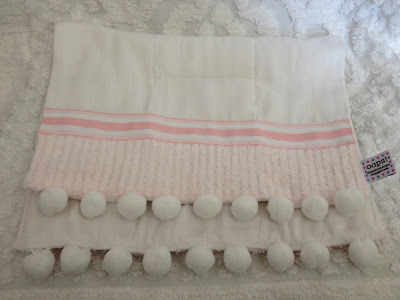 Stephanie makes these great baby burp cloths. Super cute. Thanks Stephanie. 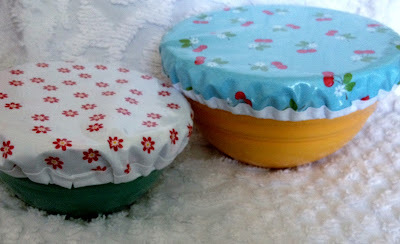 I LOVE these bowl covers! I remember them from the 50s. What a great idea! Thanks for sharing. The bowl covers are especially nice because they are made with Lori's fabric. How did your luncheon go? Do you still meet up at Food For Thought? Miss you both! And how fun that you won OOPS from Stephanie. She is a cutie, and I enjoy meeting up with her once a month to sew. What a great use of oilcloth! Thanks for sharing these things/sites. So many talented people out there. Hope you have a great week! 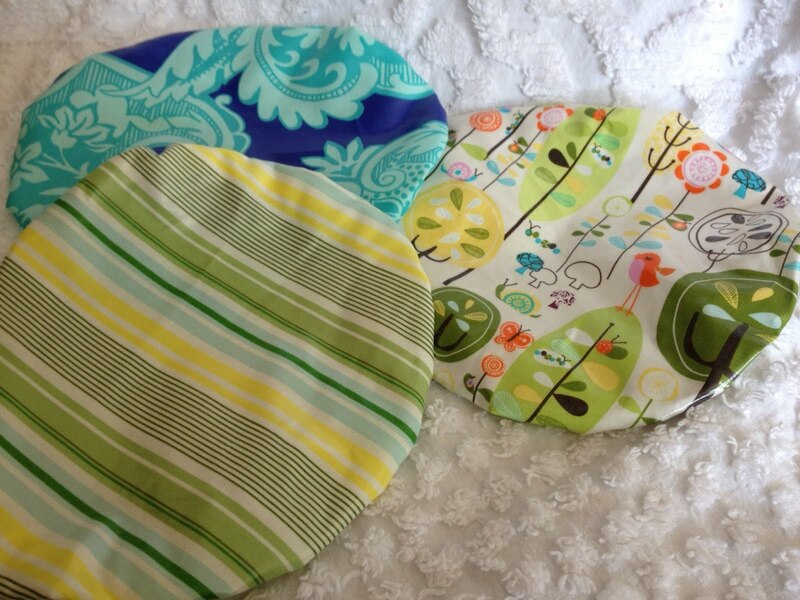 i love those bowl cover/shower caps! those two quilty things are super. what great ideas. Hmmm.......I have some oilcloth that I've never made anything with and I could use some bowl covers....might just give it a try! The two things are super quilty. What great thoughts.